Whether you have your own business, work in sales, or simply want to sell something, by using the techniques of a “super salesperson” you can increase your income and make higher profits, all while providing other people with excellent value. Every sale is a series of steps which begins with finding a prospect (someone who wants a product or service) and ends with getting a firm commitment from that person to buy what you are selling. By understanding these steps, and knowing how to effectively handle whatever may come up in a sales situation, you can make more money selling your products and services. And you can do it not at the expense of others (win-lose), but in ethical ways that will benefit them as well as you (win-win). 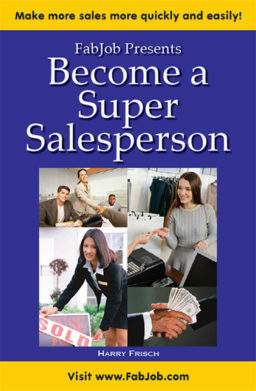 If you have ever persuaded someone to do something, you have the basic skill you need to become a super salesperson. If you want to learn how to be more persuasive, to get what you want in life and increase your sales, How to Be a Super Salesperson … and Still Respect Yourself in the Morning is for you! It offers you the powerful, winning techniques of the highest-paying profession in the world. Author Harry Frisch, founder of Sales Technology International, has won numerous awards, selling a remarkably wide range of products and services to all levels of business, as well as retail to the public. He has successfully sold ReMax real estate, automobiles, audio-video equipment, specialty clothing, self-improvement courses, and fine art, among other items. He has also succeeded in the difficult fields of telephone sales and door-to-door sales. In this powerful how-to guide he shares his winning techniques to help you sell any product or service. He dispels common myths about selling, explains how anyone can sell, and offers step-by-step advice from finding buyers to making the sale. With large print, real-life examples, samples of what to say in a variety of situations, and helpful summaries, this highly informative guide is surprisingly easy and fast to read. You can have all this and more for an incredible price. It can cost hundreds of dollars to take sales courses. How to Be a Super Salesperson…and Still Respect Yourself in the Morning contains some of the best business advice you could get from other sources, plus much more. The information in this guide can save you many hours of research, help you avoid costly mistakes, and give you information you need to increase your income through sales. 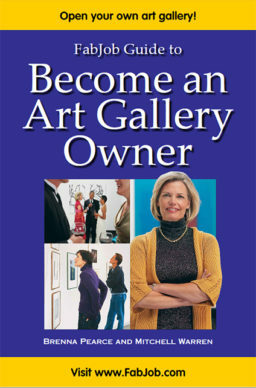 You can earn back the price of the guide with your very first sale. 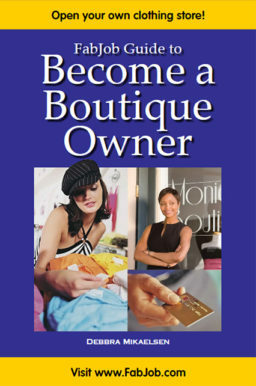 But of course this guide can help you continue to profit from win-win selling for years to come. If you believe you deserve to earn a high income, this guide is for you. It gives you what you need to know to sell effectively. Don't miss the opportunity to increase your sales. If you are undecided, take advantage of our guarantee. Buy it, read it, and if you are not satisfied, your money will be refunded. Bonus CD-ROM Also Available: If you would like to have a back-up or spare copy of the guide, you can have it on CD-ROM for only $5 more (plus $5 shipping). You will also receive the e-book so you can read it immediately. Click the ADD TO CART button below to order your guide now. An award-winning e-book industry pioneer, FabJob guides and career advice have been featured in leading media and sites including: ABC, AOL, CBS, CNN, Entrepreneur, Essence, Fast Company, Metro, Microsoft’s MSN, Oprah’s newsletter, The Wall Street Journal, Woman’s Day, Woman’s World, Yahoo! and many more (even the movie Bewitched starring Nicole Kidman and Will Ferrell). Click the “ADD TO CART” button to get your guide now.